There are many types of dementia, with the most common being Alzheimer’s disease, which accounts for around 60 per cent of cases in older people. Dementia is progressive and is caused when the brain is damaged by diseases such as Alzheimer’s disease or strokes. Everyone is unique and will experience dementia in their own way. Different types of dementia will affect people in different ways. How people respond to the person with dementia and their environment are other factors that will impact on how well someone lives with dementia. It’s important to realise that each type of dementia has different traits. For example, memory problems feature quite strongly with Alzheimer’s disease whereas hallucinations are more common with dementia with Lewy bodies. If you suspect someone close to you is developing Alzheimer’s disease or another type of dementia, you should encourage them to seek medical advice and receive a diagnosis as soon as possible. 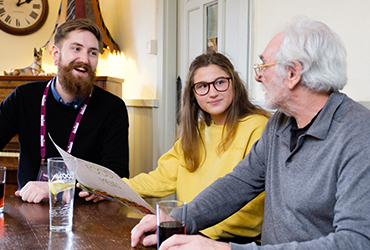 Dementia usually progresses through stages and an early diagnosis means you can help your loved one by understanding how their condition may develop. Every person living with dementia is unique and no two people have the same journey with their condition. Often the very early stages are only apparent in hindsight. At the time, things that happen are put down to old age, over tiredness, stress or other factors. The onset of dementia is usually gradual, and it is often impossible to identify an exact moment when the symptoms, such as memory problems, began to appear. The middle stages of dementia are when the problems of memory impairment, cognitive impairment or confusion may become more apparent and may have a greater impact on a person’s ability to maintain independence and take care of themselves. Symptoms vary by type of dementia, for example, with Alzheimer’s disease, they may forget familiar faces, repeat themselves and have problems sequencing tasks such as getting dressed or taking a bath. This stage is when a person may need more support, possibly round the clock, with the tasks of daily living such as eating, dressing and maintaining personal hygiene. Sometimes the effects of the dementia may cause someone to become unable to move easily or consume food and drinks unaided. It is important to remember that throughout every stage, there is a way to provide dignified care and support and encourage someone to continue with social interaction. 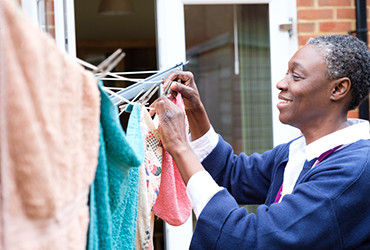 If you suspect a family member may be developing dementia and would to find out how Home Instead can help, check out our dementia care resources or book a care consultation with your local office.